Do You Really Need to Hire an SEO Agency in Dubai? If you are looking to hire a professional SEO agency to handle your company’s SEO needs, you have come to the right place! We specialize in both B2C and B2B SEO services, and are proficient in both on-page and off-page methods. The short answer is: Yes! No matter if you are a small or large business in dubai, you can benefit greatly from the skills and expertise that a professional SEO team brings to the table. Learning the rules and techniques of SEO can be difficult, but if you are looking to increase your ranking on search engines, then hiring an SEO agency is definitely something you want to consider. Between managing your company’s day-to-day operations, networking with colleagues and potential customers, and tracking your progress as you work toward your goals, little time is left for managing your search engine optimization. We have the time and the experience to do it for you, freeing you up to get back to what you do best. In addition to what our SEO agency can offer your business from a quantifiable, measurable standpoint, there are also personal benefits for you. First, it prevents you from spending countless hours trying to figure out quality SEO strategies. It also alleviates the headache of understanding search engine algorithms and trying to implement consistent updates to all of your online content.Secondly, it given you peace of mind. You will no longer need to worry about how your SEO is working, where you are ranked, and whether or not your marketing efforts are worthwhile, as this is something we will handle for you, providing reports and updates every step of the way. We offer both custom work retainers and fixed-price service packages guaranteed to meet any SEO management need you may have. If you would like to talk with one of our team members about our full service SEO packages or about getting a custom quote, please click here. We would be honored to talk more with you about how we can help you increase your online visibility and manage your SEO efforts more effectively. We will begin with an initial consultation, which includes a review of any SEO management processes you may already have in place. At this time we will also work on defining specific goals for your SEO, and on creating a strategy that we can work on in the weeks and months to come. SEO is an ongoing process that involves equal parts finesse and force. 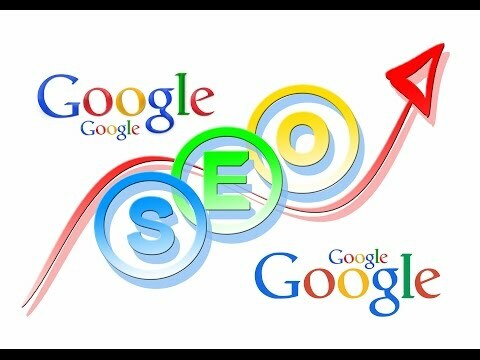 We will work diligently to ensure that you reach the highest possible search engine rankings and then stay there. SEO is a labor-intensive process; we can help you avoid getting lost in results pages no one will ever see. DM Solutionz F.Z.E provides SEO Services all over UAE including Dubai, Abu Dhabi, Ajman and other states. Contact us today and we'd be honored to help your business in appearing on Google's first page to maximize ROI for your company. Call now at +971-504357337 and we can initiate the process well within 24 hours!